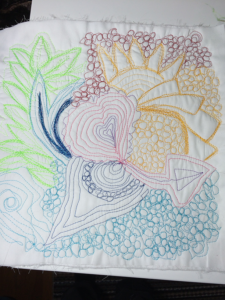 Going to try Graffiti Quilting. I am new to quilting and have done mostly simple quilts. 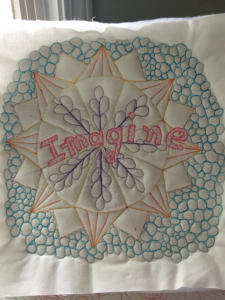 There are so many talented people out there quilting and seeing their work just inspires me. 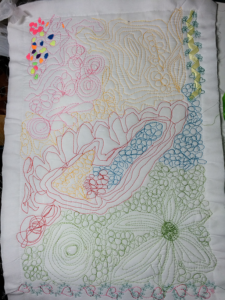 I have been influenced by artist like Karlee Porter and Amy Johnson doing Graffiti Quilting. So I thought I would give it a try. Those ladies make it look so easy! 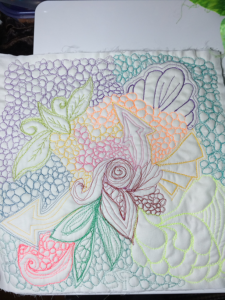 Karlee works on a Handi Quilter Sweet 16 machine and Amy uses a home machine. So I thought I would give it a try. Here is over 25 hours total play. 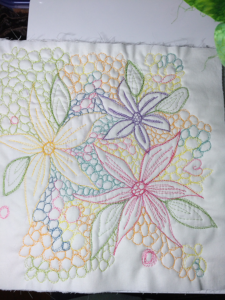 This entry was posted in Quilting on September 4, 2016 by iDebra.